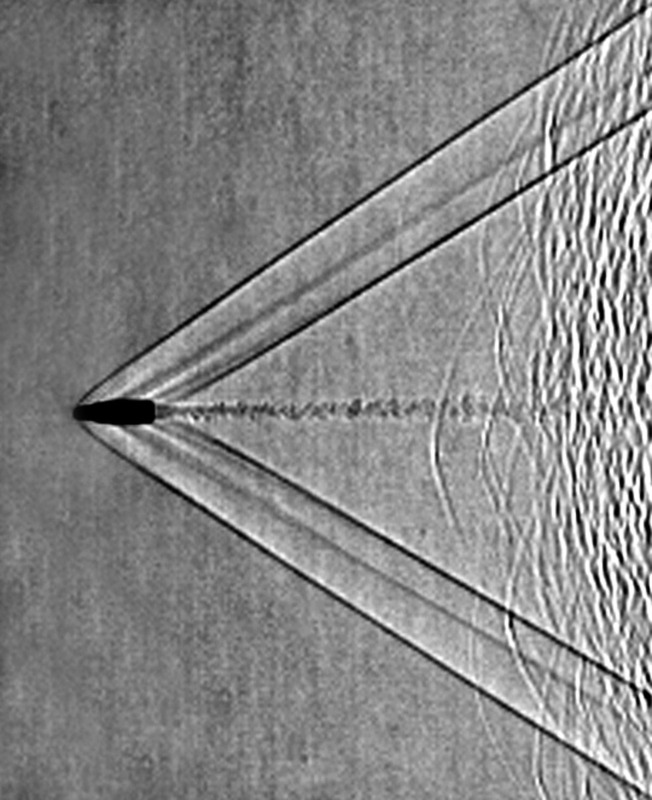 Bow waves left behind by a bullet moving at supersonic velocity. Source: Wikipedia. 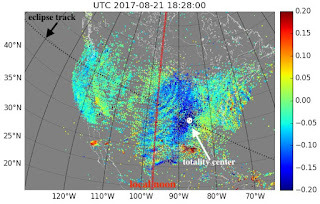 Shunrong Zhang's paper on detection of bow waves in the Earth's ionosphere during the 2017 eclipse was published this week. 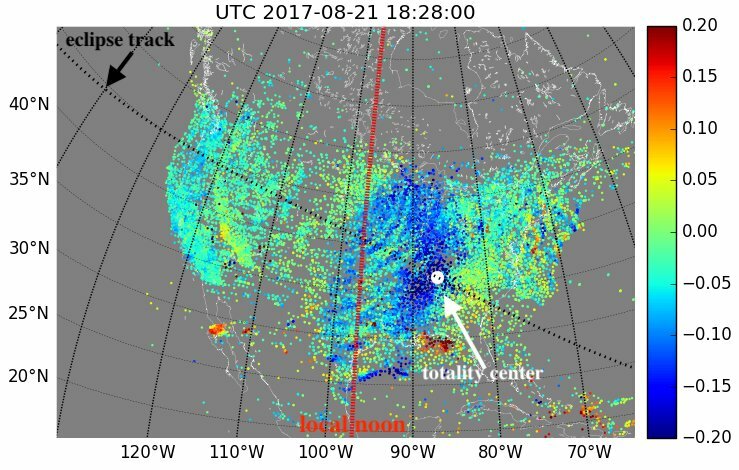 The paper shows for the first time bow waves in the ionosphere measured using a dense network of over 2000 GNSS TEC receivers over continental US. The bow waves are caused by the rapidly moving Moon shadow during the 2017 US eclipse. 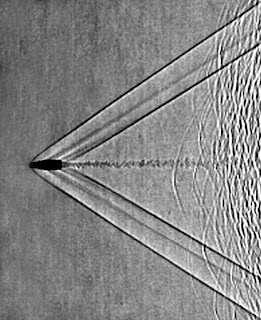 The shadow of the Moon moves at a supersonic speed and leaves behind a bow wave, much like the waves behind a boat moving on a lake or the pressure waves created by a bullet moving at supersonic velocity. 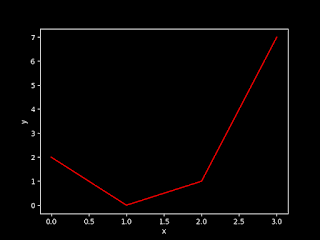 A figure that shows the bow waves in the wake of the eclipse. 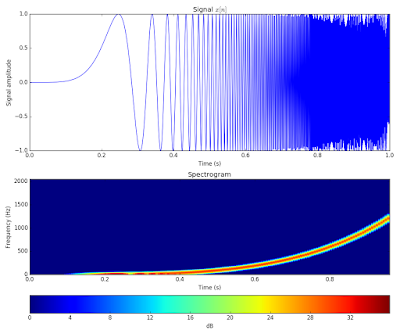 The waves are very small in amplitude (about 1% fluctuations in total line integrated electron content). The paper received a lot of media coverage. For example, Gizmodo, Newsweek, and National Geographic wrote articles about this study. I was lucky enough to be a coauthor on this paper, so much of the media coverage lists this as a collaboration between MIT and University of Tromsø!